What do you guys tune with? Looks like I'll be getting my sweet co op afterall so I'm looking into the various EMS's out there. 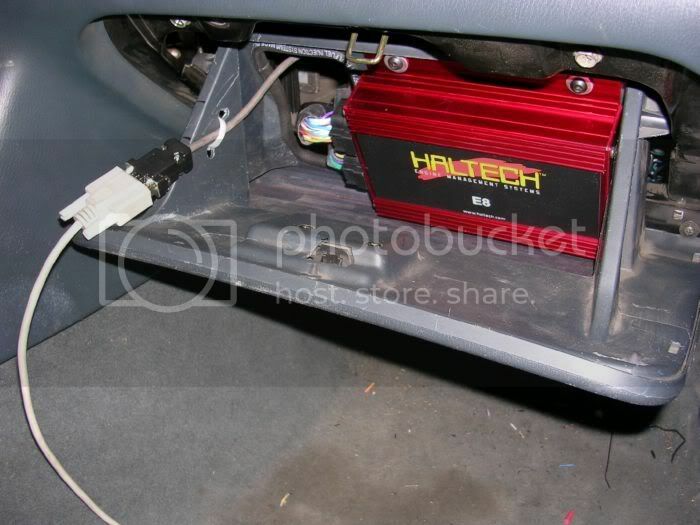 The EFI101 forum showed me quite a bit about the Haltech and the Autronic today so I don't know what I want anymore. I was planning on staying away from the AEM just because they seem to have problems with Nissans in general and I often hate what the masses are in love with just cause I go against the grain like that. At some point I am hoping to have over 500hp so traction control might become a big selling point. That is going to be years away though and by then I may want to move on to a new system so I don't know how much that will weigh in on the decision. Tuning is one of those things I tend to stay away from. But I have seen a few different systems used. On our FSAE car, we used an Autronic SM2, I think. It was a good ECU, but I think exceeded the tuning capabilities we had at the time. So we weren't able to use it to its full potential. For the last 2 year, we were using a Performance Electronics ECU. It's a more cost efficient option, that probably doesn't have as many options as the big boys, but still a very effective standalone. As far as my car, I will probably just go with a Power FC just for simplicity and cost. I would like to step up to something a little better but it depends on a lot of things. You should probably be fine with any of big boy ECU's. Haltech, Electromotive, Autronic, Motec, etc are all very good units. I don't really have any personal experience with them, but I know we have tuned some of the here at the shop and they're all pretty good. I've had MegaSquirt in the past and have a Haltech E8 now. I lOVE it! Bang for your buck its hard to beat. The E8 has 8 configurable drivers for ignition and fuel. So on a 4 cylinder you can run direct fire ignition (COP being an option) and fully sequential injection. And it has all the other things, open and closed loop boost control, turbo timer option, fan control, multiple fuel pumps, nitrous control, wideband control, traction control, flat shift, etc. The list goes on and on. haha. Anyways, you can probably tell I love it. I've worked with other ecu's too. Motec's software was INCREDIBLE but for the difference in price I can't justify it. If you're serious about tuning I'd highly suggest going to some of the EFI 101 classes too. I've completed the basic class and will be doing the intermediate/advanced classes soon. They're very informative and good people too. Well worth your money. i have very limited experience with ECU's, but i have worked with a few. so far, in dealing with FSAE, we have used Electromotive's and Life Racing's full stand-alones. I didn't do anything with the mapping, but I have been shown how to use the Life Racing software, and it is SUPER easy to use. Plus, it has built in traction and launch control. As far as regular cars, I have worked with the Electromotive TEC3r and the GReddy E-Manage Ultimate. Both of them are really easy to use (i think). the Electromotive had launch control and all that fun stuff, but the GReddy was much easier to use. Overall tho, I have liked the Life Racing stuff the best. The only downside is that they are over here in jolly-ol'-fish-n'-chips-"evenin'-guvnah" England. I've never taken a class on engine mapping, but as far as books, I've been reading the Motorbooks Workshop "How To Tune and Modify Engine Management Systems" and it explains things in a very easy to understand way. I have the same book and I'm going to the EFI 101 course this summer so hopefully I'll be able to mess around after that. After talking to a guy with a 240sx that has a Haltech as well I think I may start with that. I have no plans to give up on cars anytime soon so I'm sure I'll have the oppertunity to play with a bunch of different systems which makes my decision now a bit easier. Were you over in England last year? I wasn't there but my Drexel team went and did pretty good. They said it was a totally different environment though, much more showmanship. If the presentation was flashy enough it didn't matter if the car was fast. Make sure the box is checked on replies and in your options. That's all I can really tell you, I'm not the best with this stuff. It has been and I magically got an email for your response.